We offer premium deck, fence, and pergola installation. We have the expertise to build everything from a simple, traditional 6' tall privacy fence, to custom designed decks and pergolas. Our staining acumen truly places us a step above the rest. Staining is beneficial not only because it beautifies wood, but because it extends its' life significantly. Power washing is essential to preparing any wood surface for staining. We have top of the line cold water power washers, and our employees are professionally trained in their use. Custom Deck and Fence started out as a college charity project and has grown considerably over the last 16 years. As a customer-oriented company, we make sure the jobs are carried out meticulously. The team double-checks everything until they’re sure all installations, repairs, or staining is done well. That’s why our company is rated 4.9/5 on Yelp and given an A grade on Angie’s List. We’re the most trusted Austin deck company and will always provide reliable services. 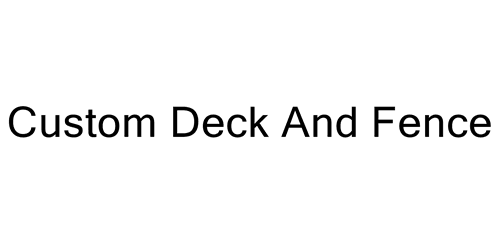 If you want to know more about our services at Custom Deck and Fence, don’t hesitate to contact us through our form or call on 512-318-2603.